Dr. Richard Browning has over 30 years of experience in periodontics and dental implants. After receiving his Doctorate in Dentistry from the University of Pacific Dental School in San Francisco, he was accepted into a three year residency at UCLA. Dr. Browning has several additional certifications including a Master’s Degree in Oral Biology and a published thesis on intravenous sedation. He has also received advanced training in implantology and laser periodontal regeneration surgery. Dr. Browning and our staff are dedicated to providing patients with the newest state of the art innovations. This includes laser periodontal disease treatment, gum grafting, as well as dental implants. These treatments are designed to provide maximum comfort and functionality as well as long term results. The Laser Assisted New Attachment Procedure (LANAP®) is a type of periodontal disease treatment designed to eliminate bacteria and infected tissue in a minimally invasive manner. Instead of using scalpels or blades, LANAP® uses advanced laser technology to vaporize bacteria without harming healthy areas of the teeth, bone, and gums. It is also the only periodontal disease treatment that is able to promote regeneration of tissue and prevent future tooth loss. 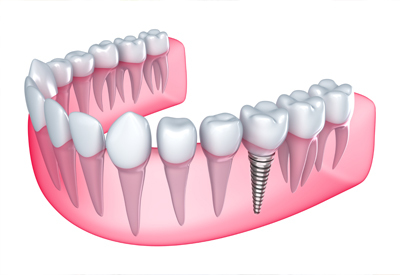 Dental implant technology is quickly becoming the new standard for tooth replacement. In addition to being comfortable and attractive, implants are also highly durable and can last an entire lifetime. Dental implants provide stimulation to the gums and jaw bone which prevents deterioration and preserves the facial structure. There is also a very low risk of complication, which makes dental implant technology a great option for long term tooth replacement. If you have any questions, please do not hesitate to ask. We welcome you to call and schedule your consultation today.